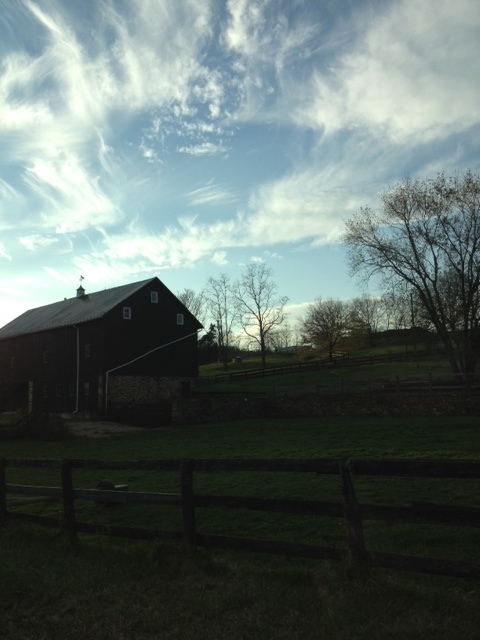 Otium Cellars, Purcellville, VA – That’s right; Virginia has been graced with the presence of German wines. 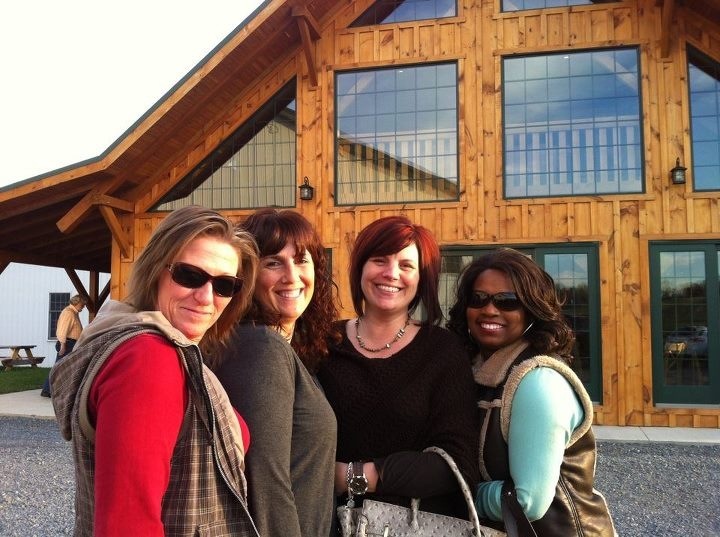 After a long day of vineyard hopping, the “Vineyard Girls” and I travelled to Purcellville, VA. Nestled deep in the Blue Ridge Mountains, Otium Cellars once a grape supplier is now producing their own wines, German wines. We enter the tasting room and my eyes roam around in amazement, “I love the woodwork”. Everything is shining and bright, I swear I can smell the polyurethane. Everything is covered in polyurethane; the large tasting counter, the wine barrel table tops and rafters. The tasting counter is full, so we find a table. In the far distance, I hear the gentleman, who’s behind the tasting counter and sporting a fisherman baseball cap, tell a couple that his father and him built the tasting room. AMAZING! I’m not sure if I’m going to appreciate the wines, we’ve tasted a lot of wines. The tasting room is busy, so the tasting is conducted at our table. The Tasting Room Associate is all smiles while she explains the wines. Every wine she pours is distasteful. My face is “balled up” and this is becoming an unpleasant experience. I call it quits, I can’t sip anymore wine. The next day, I take a trip back to the countryside with an open mind and ready to taste some German wines. The first wine in the tasting is a 2010 Pinot Gris made with a grape called Grauburgunder that produces a pale yellow, golden to amber colored wine. The Pinot Gris is medium-bodied with fruity aromas and flavors of pear, melon and apples; 100% stainless steel. TASTY! Grauburgunder is also known as Pinot Gris, Pinot Grigio. In the1500’s, the Grauburgunder grape was introduced to Germany from the French Burgundy region. Today, 4.3% of Germany’s wine region is Grauburgunder. Second wine in the tasting is a 2010 Chardonnay – aged in neutral oak. YUM! Immediately I give it two stars. Rich, full-bodied white wine with tropical flavors and I taste pineapple. DELICIOUS! Next is a 2011 Pinot Gris – 1% residual sugar, Otium’s Riesling-style wine. Citrusy-fruit flavors and grapefruit; I like what they are doing with their whites. Definitely gets a star! The whites have been a success; I’m looking forward to the reds. First red is a 2010 Pinot Noir. You all know I love Pinot Noir, so I’m excited. I read description, which is strong black cherry flavors and a hint of violet and spice. I ask Rocky, “What is the difference from a Virginia Pinot Noir and an Oregon Pinot Noir?” He replies, “It’s produced in Virginia”. It wasn’t the answer I was looking for, but it did give me and the others a chuckle. Excitement is building… Sniff, (frown) strong, spicy aromas – pungent! Sip, I slowly swallow. I mark a “X”, wonder… and blink. NEXT! 2011 Cabernet Sauvignon – soft, light-bodied; definitely not your typical Cabernet Sauvignon. Weird? I feel confused like what is going on with these reds. The Cab is a lot better than the “Virginia Pinot Noir”. Okay (exhale) next! Thoughts from yesterday’s visit are creeping up; maybe these wines are mediocre and yesterday, my taste buds weren’t fried from too much tasting. Third red is a 2011 Blaufraenkish – It’s the oldest German variety that has sweet fruity aromas, flavors of cherry stems with a slight mineral finish. It’s good, so-so. The tasting is becoming difficult; Rocky is so pleasant, ensuring he gives each of us his attention. I really want to be blown away from the reds, but it’s not happening. I strike up conversation and ask Rocky why they chose to grow German grapes. He shared that his father is German. 2010 Cabernet Sauvignon (Goodness, I hope this is better than the 2011 Cabernet) – Here we go… NICE, I LIKE IT! Full-bodied, berry flavors, silky smooth finish; much better than the 2011. “You, Baby get a star”! Time for the last wine in the tasting, 2010 Blaufraenkisch – I have to admit that my hopes aren’t high. The Blaufraenkisch is full-bodied with bold tannins. The tasting sheet states it’s supple and complex with age. I guess we have to wait and see. 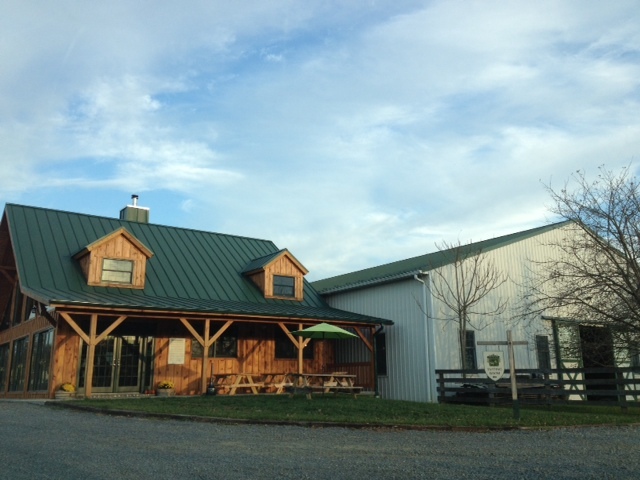 My visit to Otium Cellars ended with a purchase of (1) Pinot Gris and (2) 2010 Chardonnay. 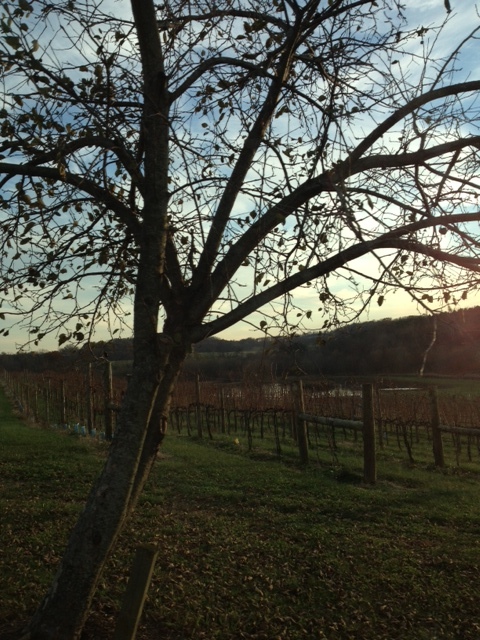 Folks, if you want a change of scenery and a taste of Germany, visit Otium Cellars. That was really interesting! Thanks for sharing. German reds are still underperforming way too often. But when done well, they can hold their head up high. Thank you! Otium was interesting & I look forward to seeing how well the Blaufraenkisch develops, which was there biggest red.